Quality laminate/Veneer/aluminum Thresholds from 90cm to 260cm long suit all floor types adjustable height & pivot as required Easyclip system, no screws or drilling required for fitting. Laminate Thresholds There is 1 product. 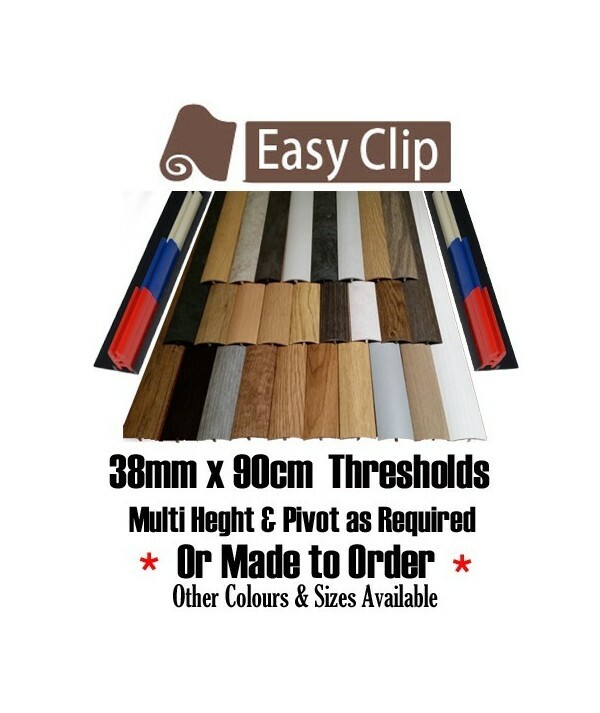 New 50mm x 90cm range of high quality Easyclip thresholds multi purpose suit all floor types adjustable height and pivot no screws or drilling required for fitting. New 50mm x 180cm range of high quality Easyclip longer thresholds multi purpose suit all floor types adjustable height and pivot no screws or drilling required for fitting.